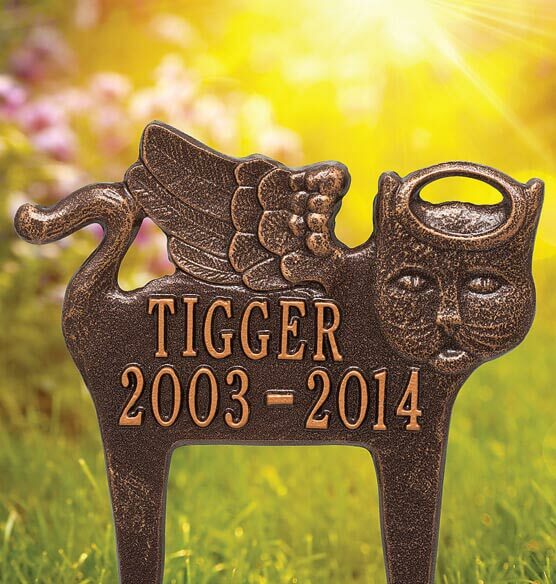 Celebrating a precious pet who left too soon, this Personalized Angel Cat Pet Memorial Marker graces your garden or lawn in custom tribute. 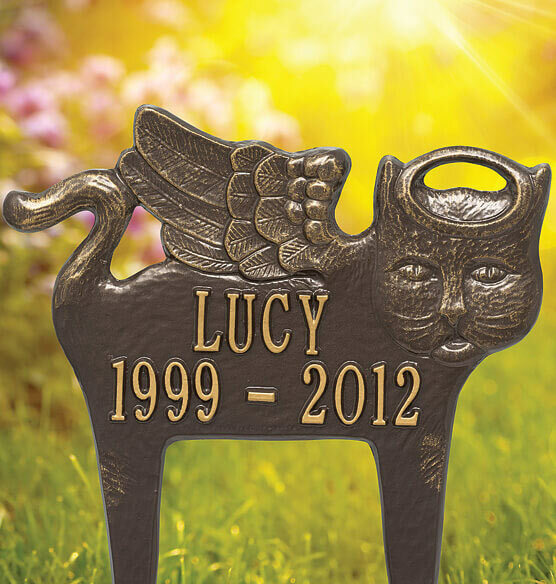 Artfully detailed with an angelic face, celestial wings and a halo, the personalized pet memorial marker is crafted of 100% recycled, rust-free aluminum with a durable finish, resisting outdoor weather for years of beautiful display. 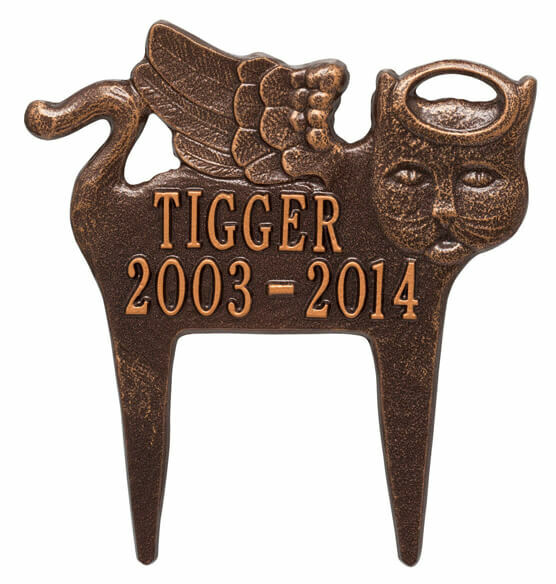 Specify color: copper, black/gold or bronze/gold. We'll personalize, creating a custom treasure for you ... or a thoughtful gift for a grieving friend. Specify name; allow 1 line, 8 letters/spaces. Specify life years; allow 9 characters. 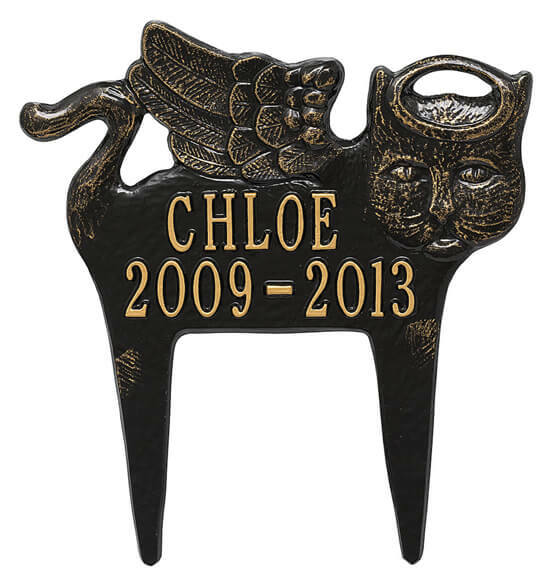 Cat memorial measures 11 3/4" wide x 12 1/2" high. No express shipping; allow 2 weeks for delivery. Made in USA.